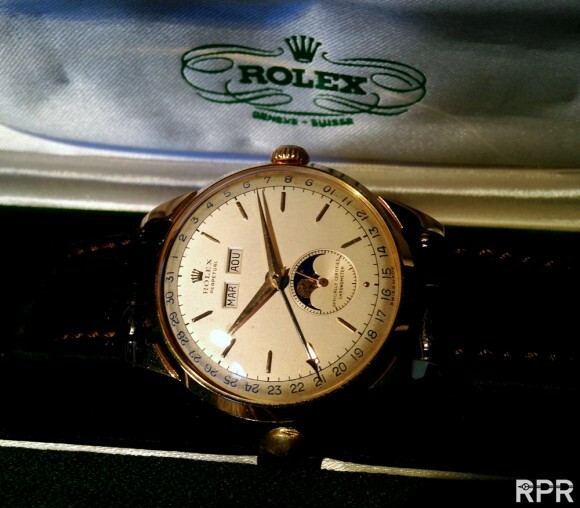 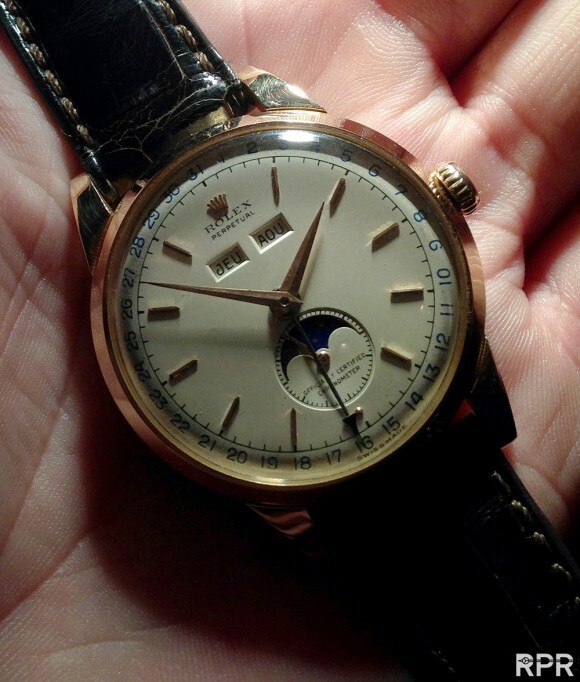 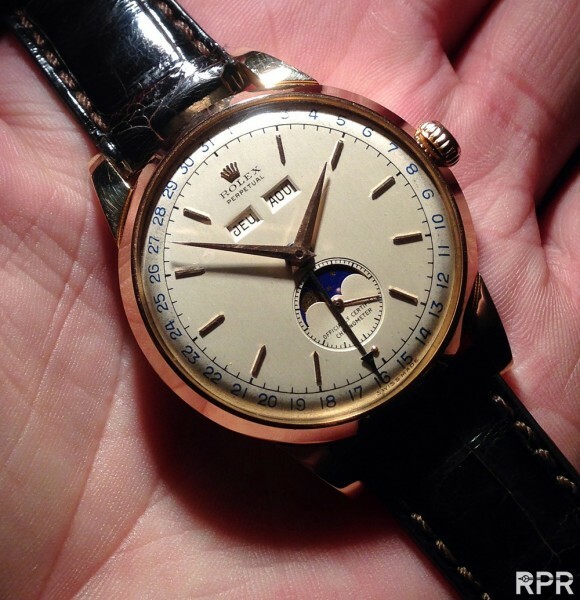 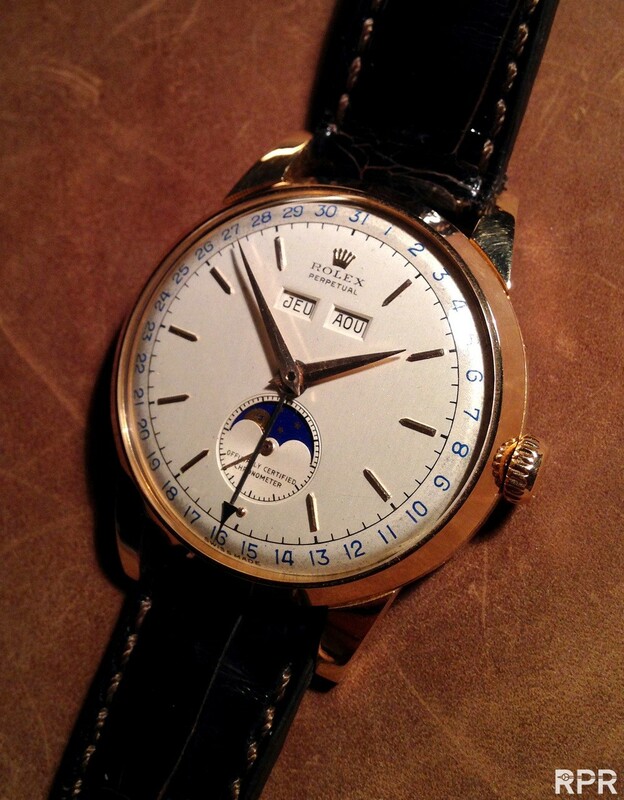 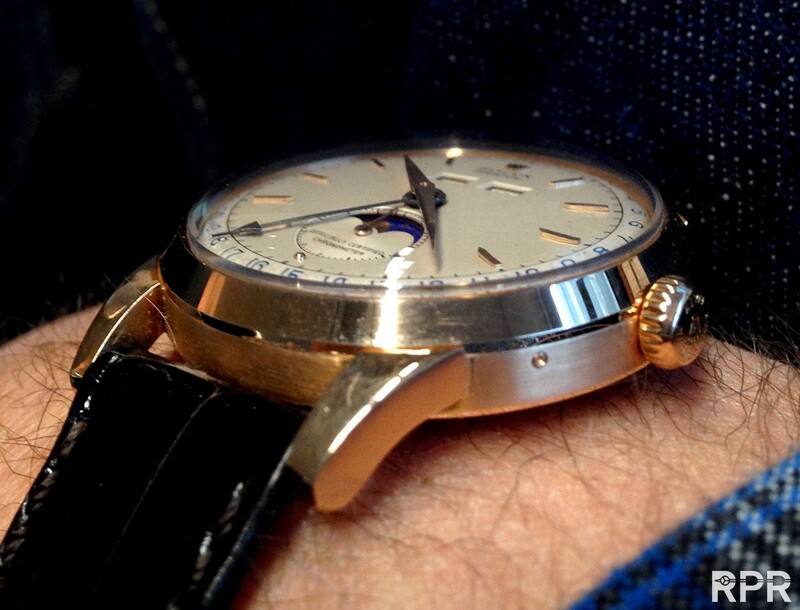 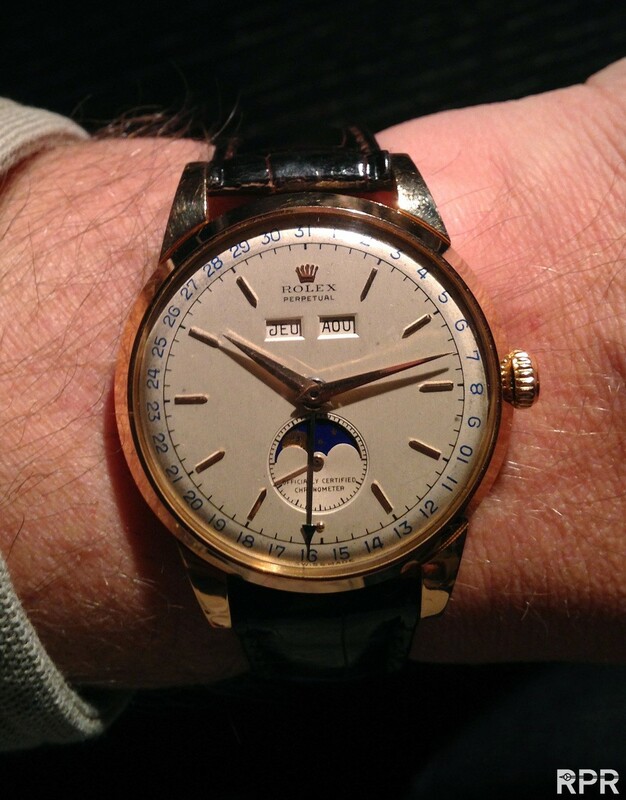 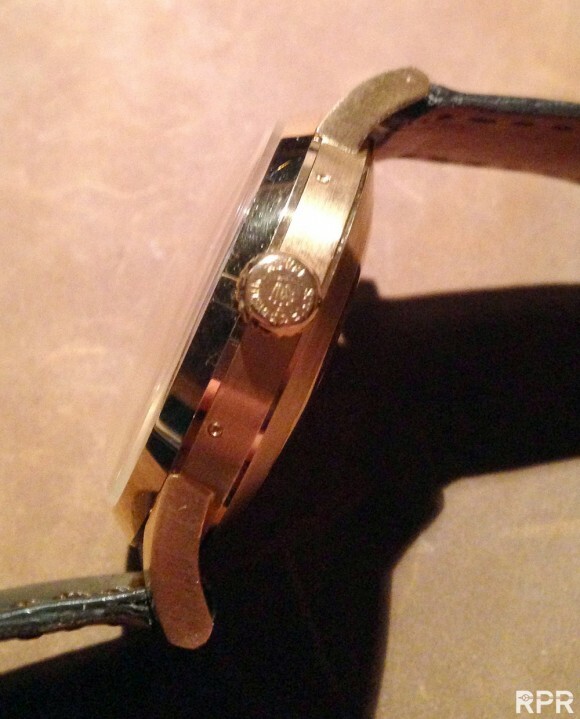 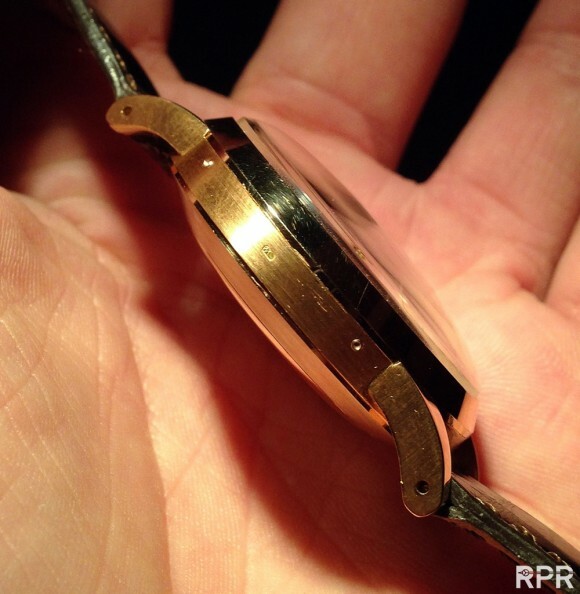 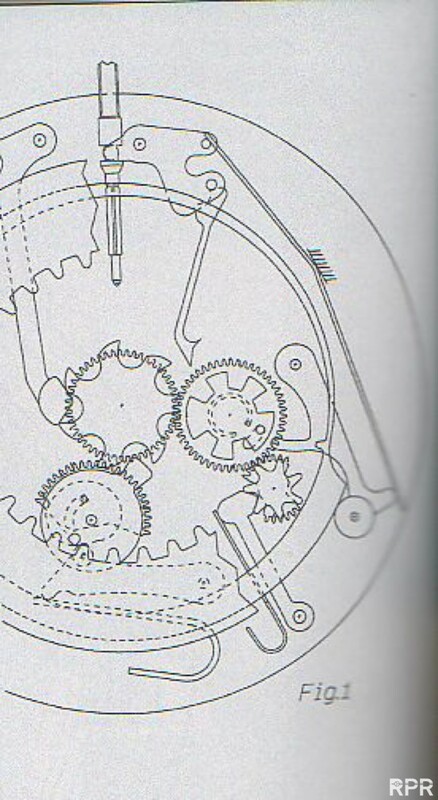 The Iconic Rolex MoonPhase Padellone Ref. 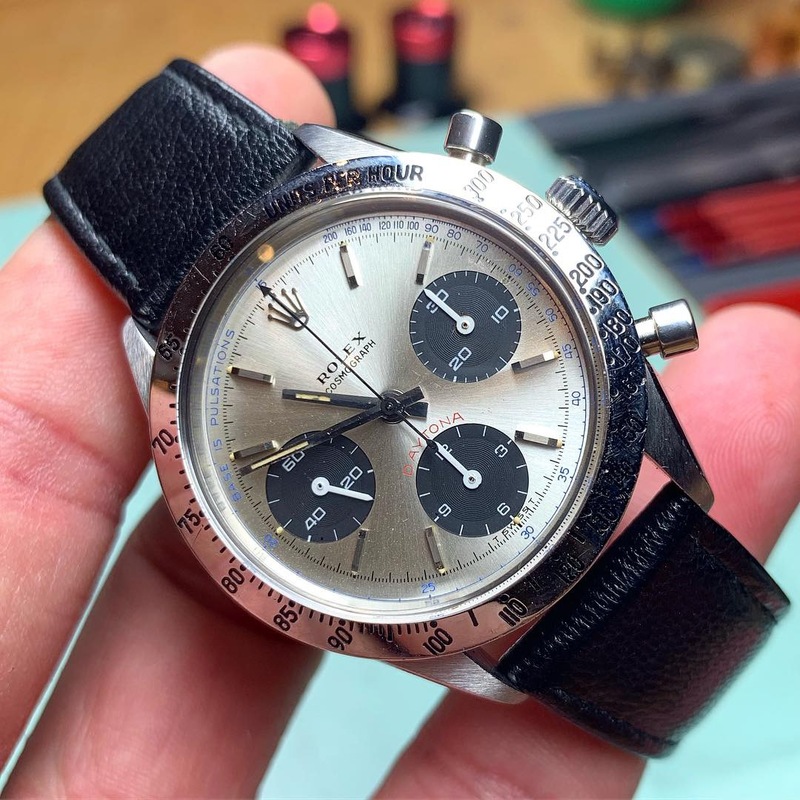 8171 in Giant 38mm Pink Gold & New Old Stock Condition..
Clearly visible gold hallmark, the untouched condition, the original Rolex polished in all it’s refined detail and razor sharp edges.. 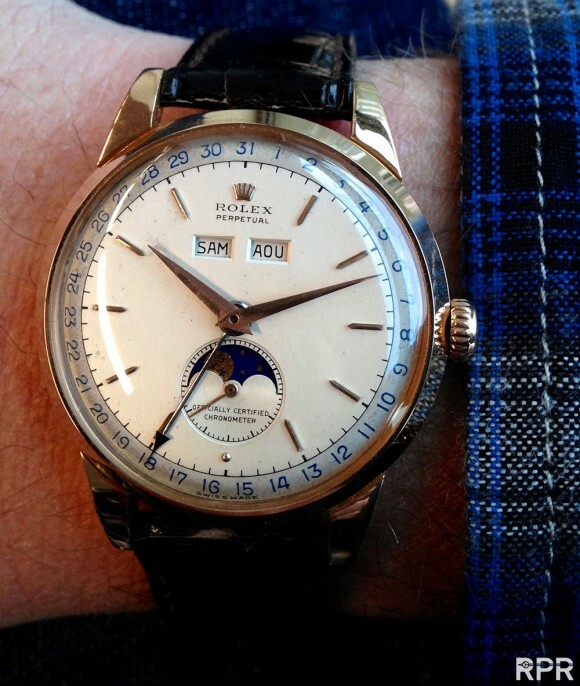 The dial has nicely aged patina and it’s a wonder that such a important Rolex watch was bought back in the days, gifted and never worn!.. 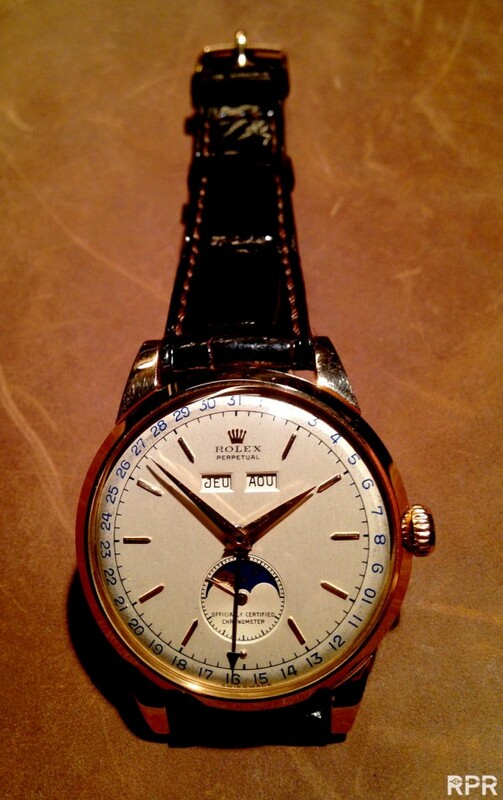 I like it much much with the bigger & better Rolex Super Oyster Crown..
Unspoiled Rolex History in my hand palm.. 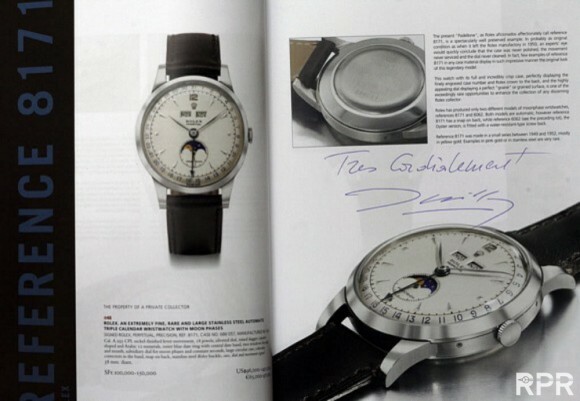 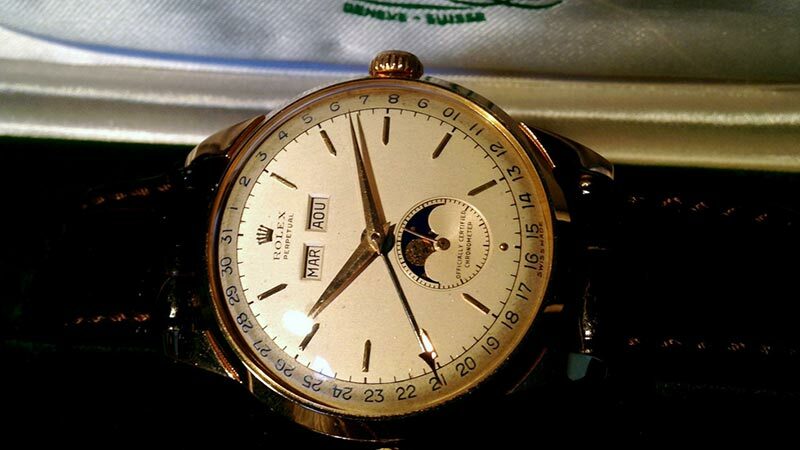 Some years ago, I as a groupie getting Mr. Rolex Killy’s signature on a steel Padellone he just got at Christie’s auction..
Did you know that Rolex already applied patent for a Annual Calendar in 2004! 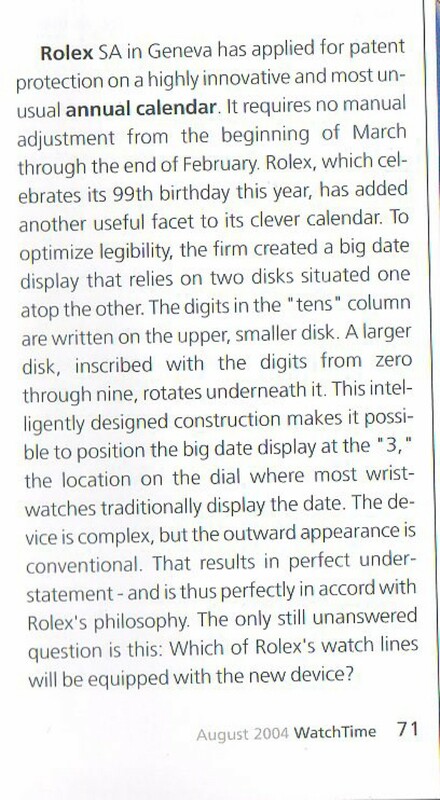 And got it approved 20 April 2005!!.. 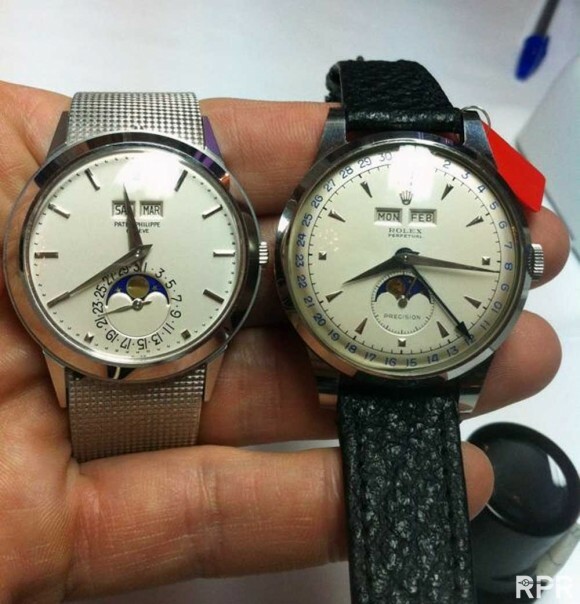 They should be ready by now making a waterproof, 40 maybe even 42 mm Padelone Annual Calendar & Moonphase case, having a display back showing the brilliant manufacture automatic. 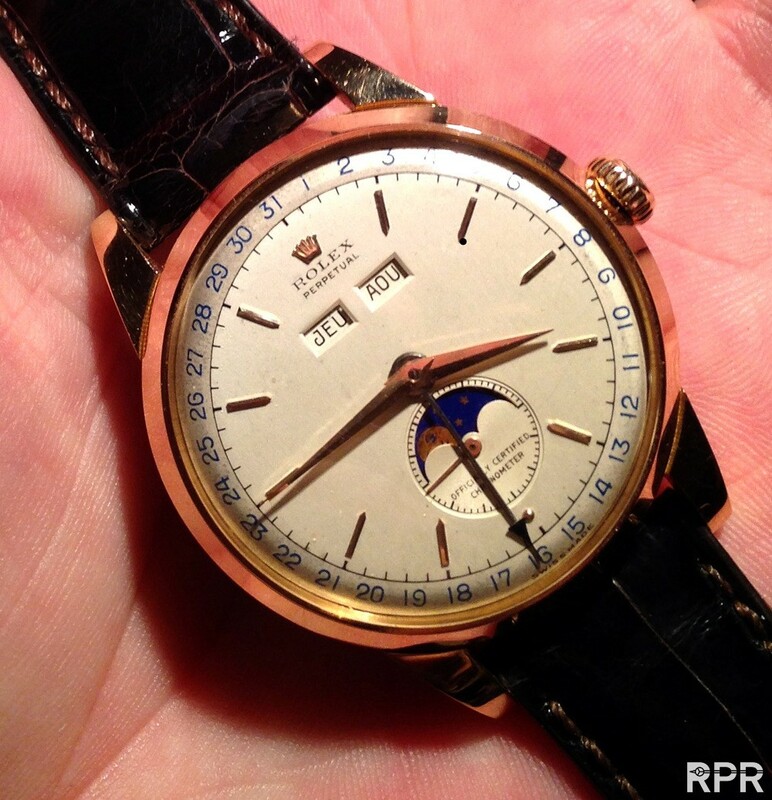 I bet even when they ask like 75K euro for it, it will become a instant hit! 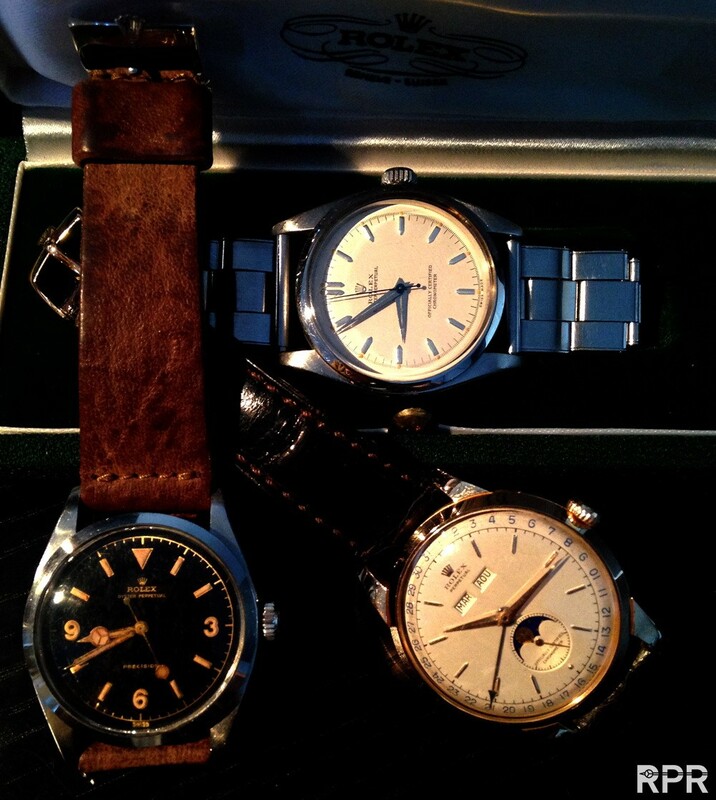 Imagine a steel, white gold or platinum version besides the pink & yellow, LOL heaven!! 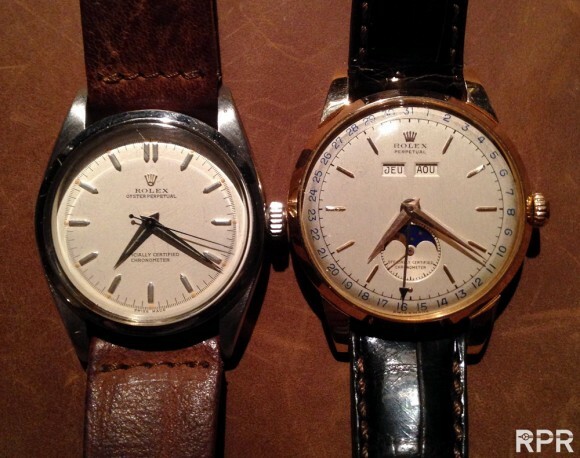 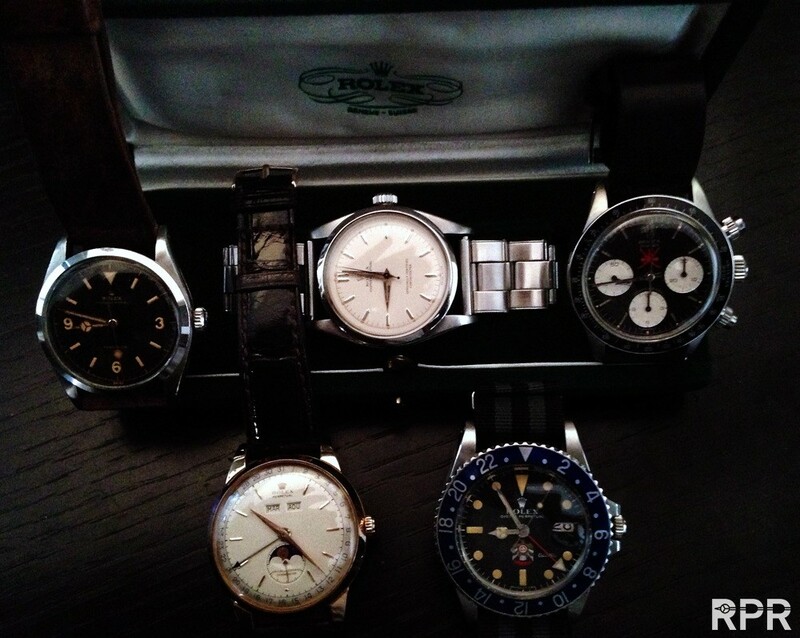 Historical Rolex Heritage Trio… 1952 Everest Explorer, Pink 8171 & 1953 Everest Rolex of Dr. Charles Evans.. 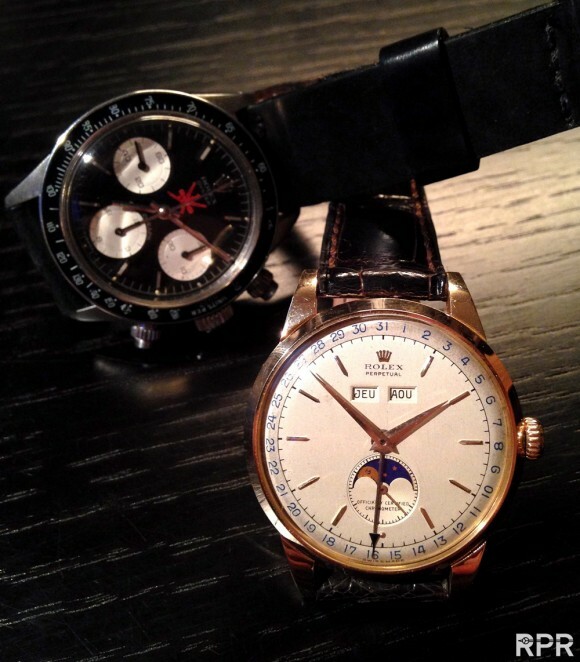 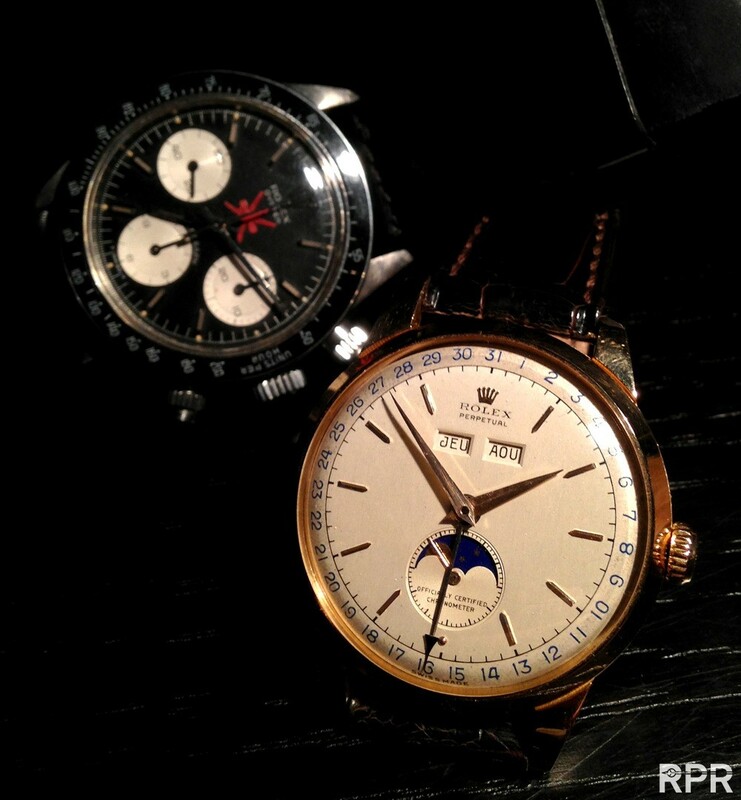 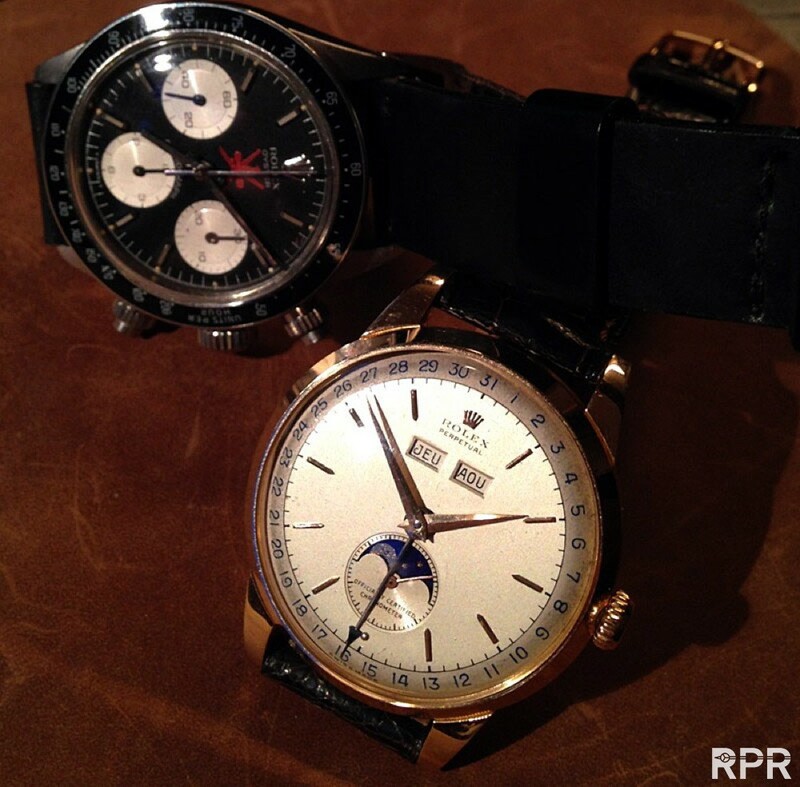 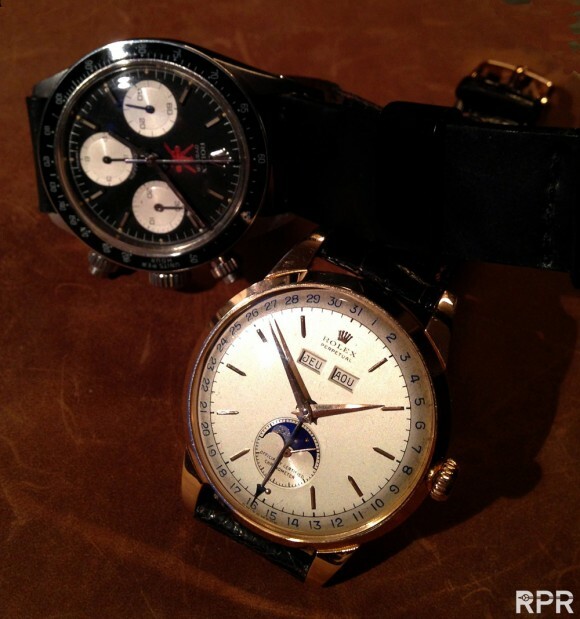 Above group added with some special Rolex from Middle East.. UAE GMT 1675 & Oman Cosmograph 6263.. This post was written by Philipp on March 21, 2013.